Not long ago I was procrastinating my writing duties perusing Facebook and a fellow author (whom I know and love and who therefore will remain anonymous) was spouting off about how much she hates to get emails without her permission. “This is illegal!” she cried (as much as you can cry out on Facebook, the land of the overused exclamation point.) Many people commented their mutual disgust. I, however, did not. You see, I’ve had a lot of personal experience with this lately and I thought I’d share what I learned with you. Recently, I started working for a faith-based website. We wanted a large email campaign to build awareness. We hired a company to help us achieve this goal. For our target list, we researched public information. We didn’t use a computer software program or other nefarious means to gather info, but when we started to send e-mails through this company, we got the red light. The question became: How did you collect email addresses? We disclosed that it was through public information on the web. This company wanted a permission-based email list in order to allow us to use their services. This could be achieved either through a personal phone call or the interested party filling out a web-based contact form. This is how subscription-based email systems like Mail Chimp work. You fill out a contact form and the author then has permission to e-mail you. Everyone stays out of trouble. The company I work for soon became familiar with the CAN-SPAM Act of 2003. In short, you can email someone without their permission but that email needs to meet VERY specific requirements. Using an e-mail service like Mail Chimp accomplishes this and is likely why authors prefer it. However, you might need to email someone without “express consent” in order to see if they want to further know about your product. 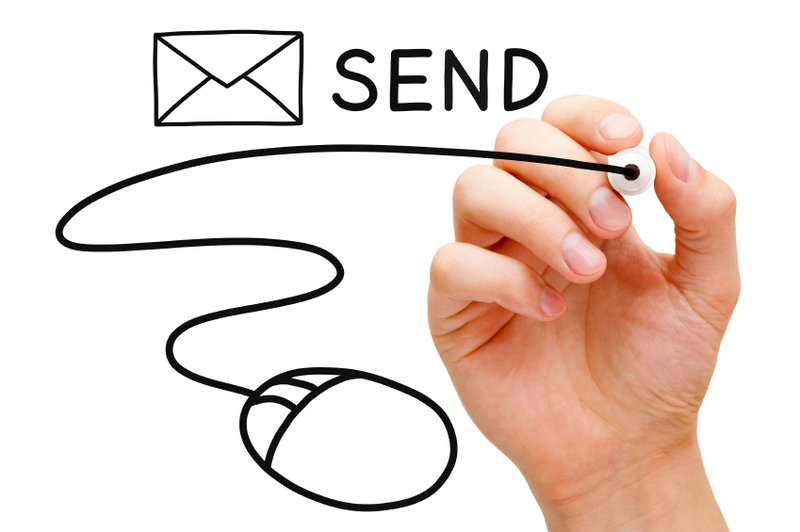 E-mail services look at bounce rates. A bounce rate greater than the industry standard of 5% indicates the sender may be using substandard means to gather email addresses. Some of these means include using a computer program, guessing what the email address might be, and (according to this company) researching public sources. But say you’ve had a reader contact you and you want to see if they’ll sign up for your newsletter. They haven’t given you “express consent” to email them (or advertise to them) but you think they might be interested in some of your product because they sent you a nice letter. You could send them an email asking them to sign up for your newsletter. In order to be in compliance with the law, that email would need to meet these requirements. I’ll be paraphrasing somewhat. 1. You must clearly identify who is sending the e-mail. 3. If the message is an ad, it must be clearly stated. 4. There must be a physical address in the body of the e-mail for you or the business. As an author, I wouldn’t suggest using your personal address. Get a PO box. 6. If you’re using a company, they need to be following these rules as well. So, technically, you can “cold email” someone, but you’ll need to hit these points. If you don’t, it can result in hefty fines. If you choose to not use a subscription based email service to build your newsletter list (which I do recommend), then read up on this law and (because I’m not a lawyer) consult a lawyer if you have additional questions. What service do you use to email people? Have you ever heard of the CAN-SPAM Act? This entry was posted in Marketing and Promotion, Writing and tagged CAN SPAM Act, E-mail, E-mail Marketing, Peril, Poison, Proof, Subscription Based Newsletters by Jordyn Redwood. Bookmark the permalink.